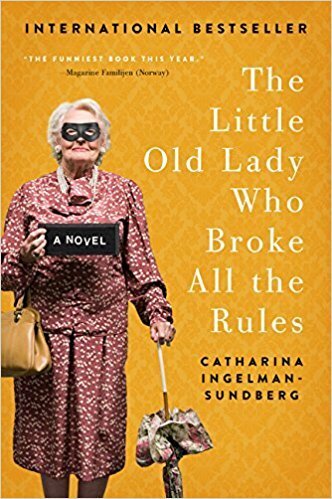 The Best Exotic Marigold Hotel meets The Italian Job in internationally-bestselling author Catharina Ingelman-Sundberg’s witty and insightful comedy of errors about a group of delinquent seniors whose desire for a better quality of life leads them to rob and ransom priceless artwork. Their solution? White collar crime. What begins as a relatively straightforward robbery of a nearby luxury hotel quickly escalates into an unsolvable heist at the National Museum. With police baffled and the Mafia hot on their trail, the League of Pensioners has to stay one walker’s length ahead if it’s going to succeed…. This was a silly novel about old people who go on the wrong side of the law. I enjoyed it fairly well, but I am not to much of a reader of this type of book. So, it was not a stellar read for me. I can see why people could enjoy this story. I do have to warn it has some affairs and some people making smart sexual remarks, which I felt could have been done without. If you enjoy books like this, then you will probably want to pick this one up. I agree with Grace’s review of this book. I thought it was a fun and easy read, but isn’t really the type of book that I tend to pick up and read. It was fun for something different, but it wasn’t a book that I loved. I also agree with Grace that some of the sexual remarks etc. in the book could have easily been left out and that book would have been just as good.